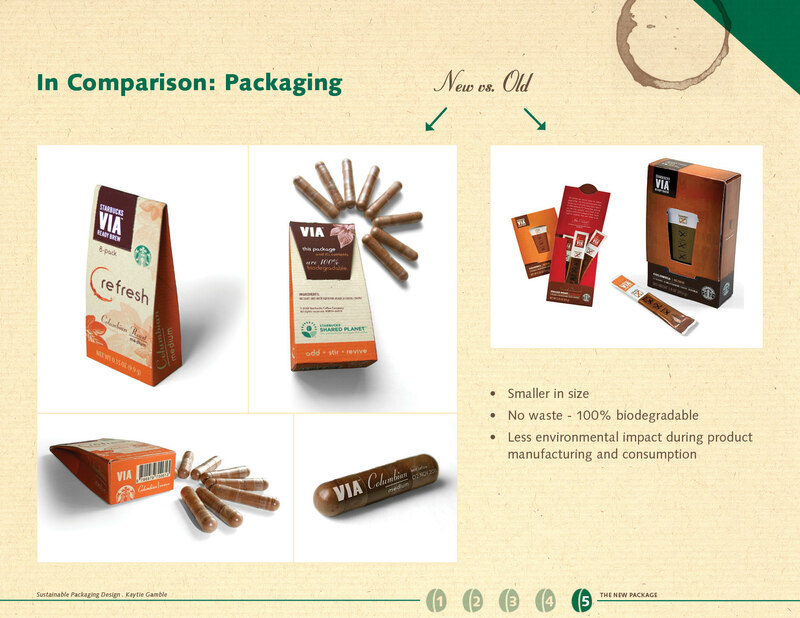 BRIEF This presentation was designed as a stand-alone informational guide about a new eco-friendly product and packaging design that I imagined and designed in prototype. 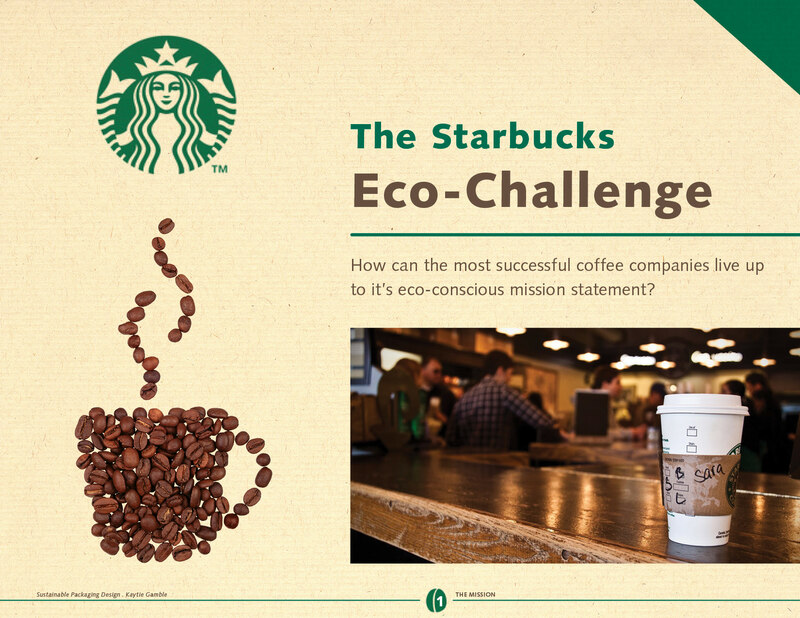 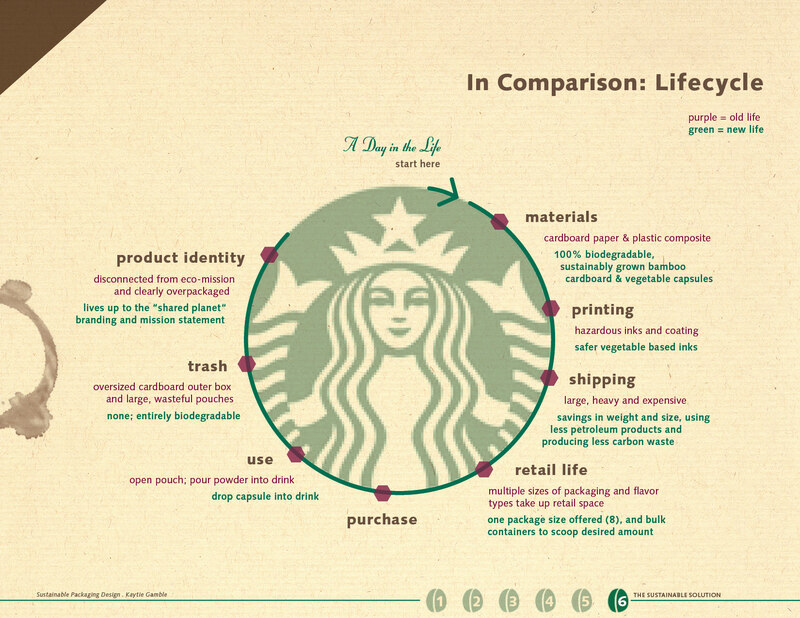 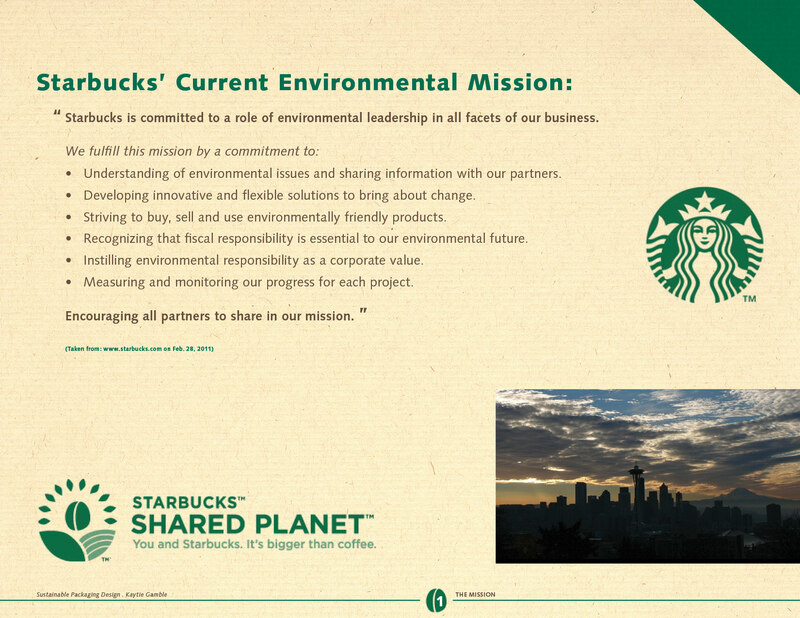 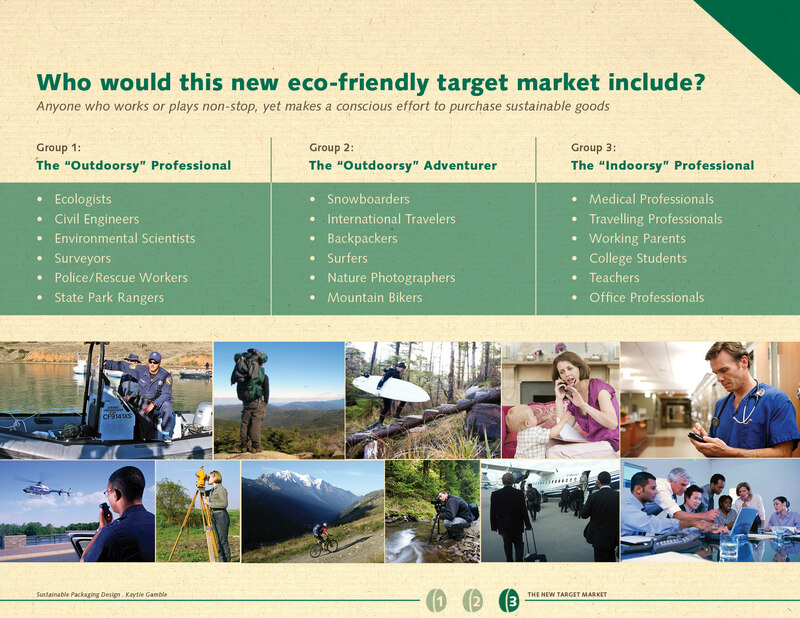 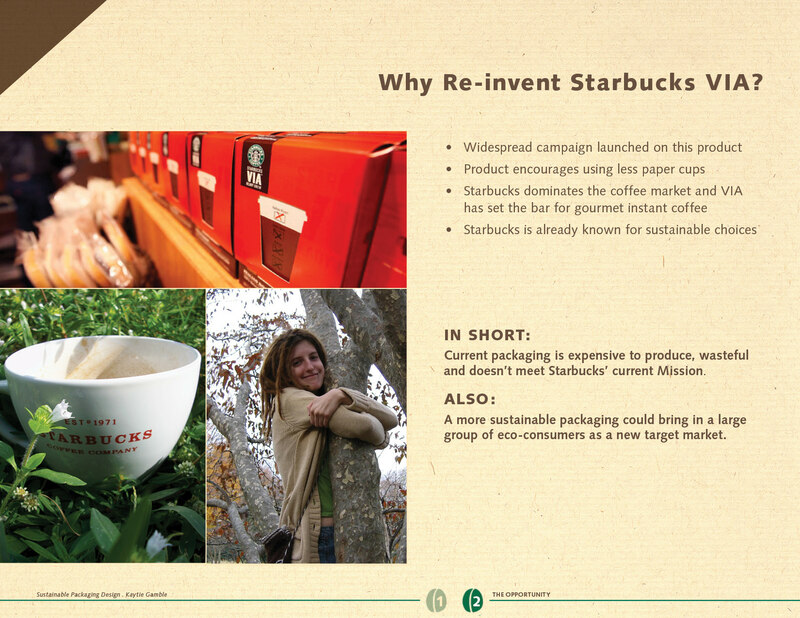 The presentation explains the environmental impact as it pertains to Starbucks Coffee. 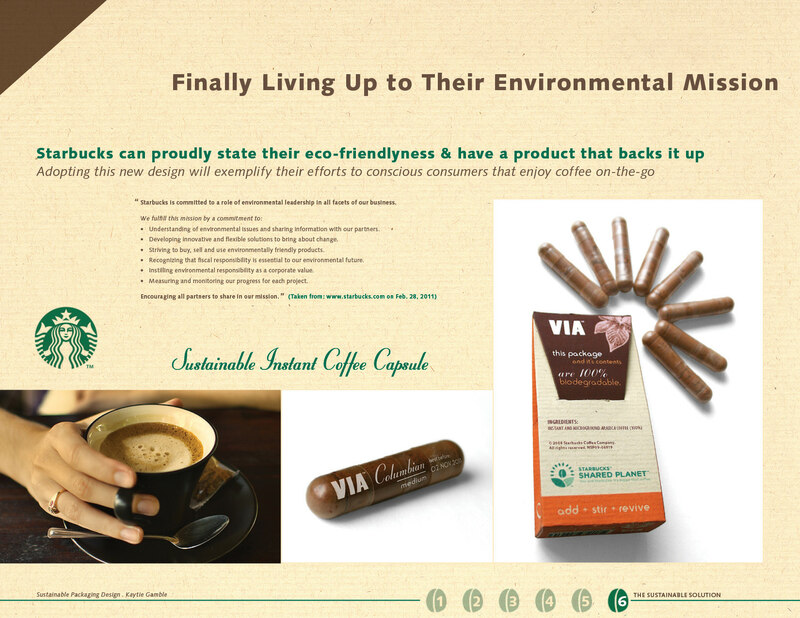 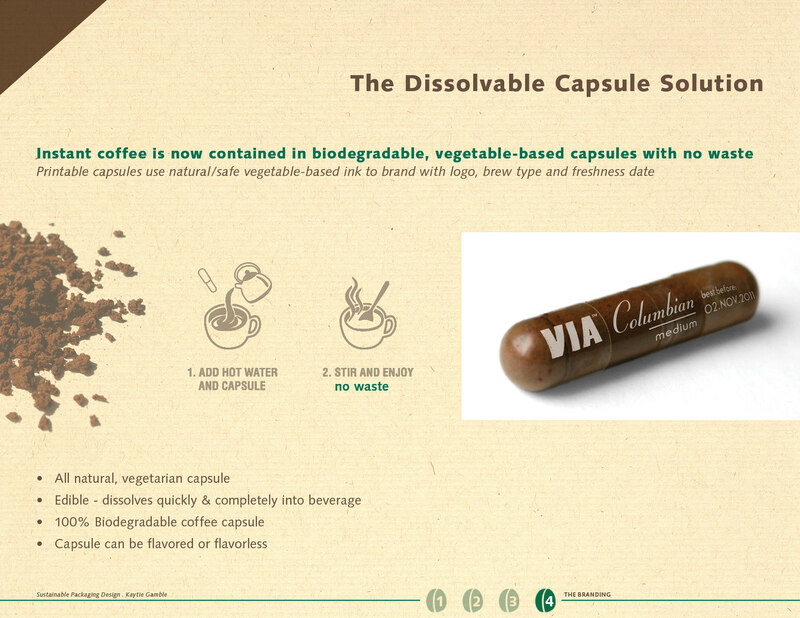 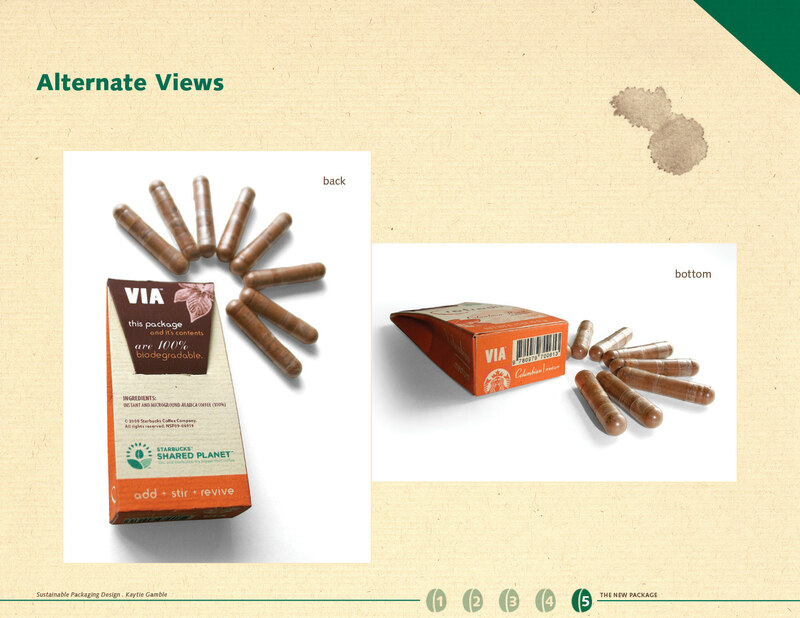 MY PART I designed the biodegradable coffee capsule, as well as the logotype, packaging and the presentation. 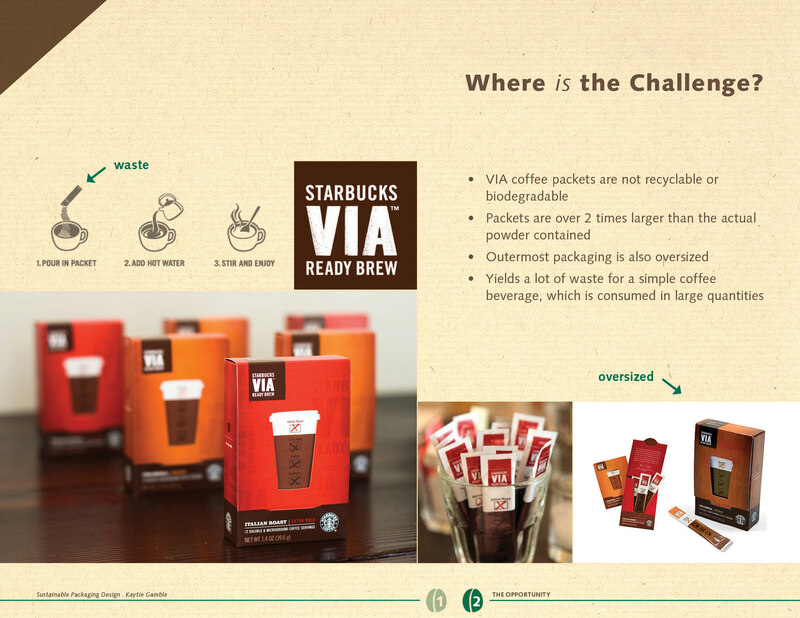 This is a personal project that was never produced. 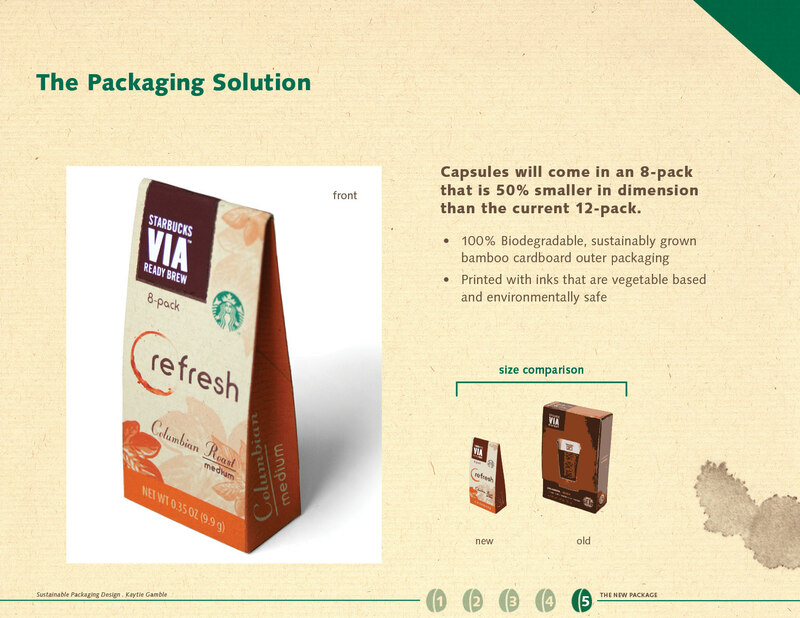 My love for eco-friendly product design, combined with my love for packaging and graphic design, were the driving force behind this re-design of a popular Starbucks product. 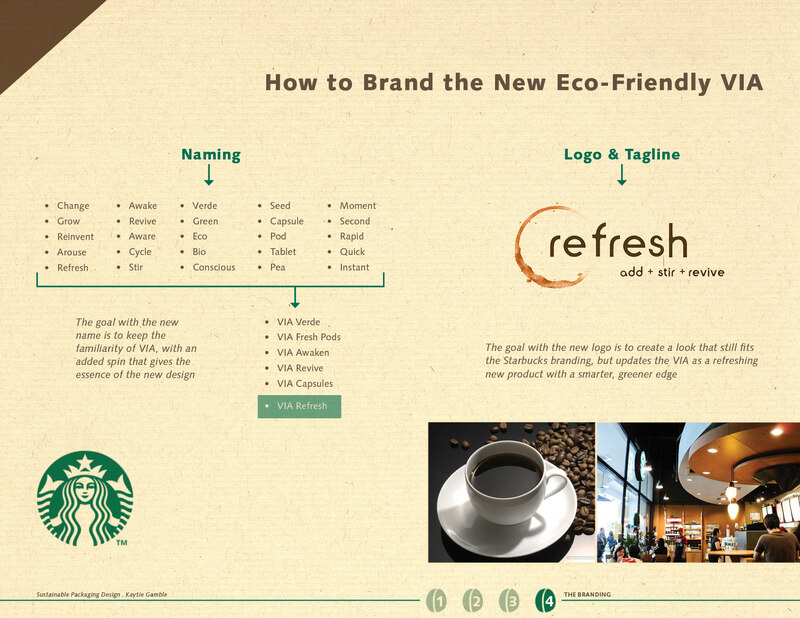 This project was coincidentally completed before Starbucks launched their line of 'Refreshers'.